dropping right to your bottom line. 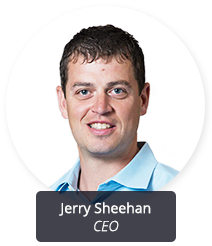 15 minute technology consultation with our CEO, Jerry Sheehan. 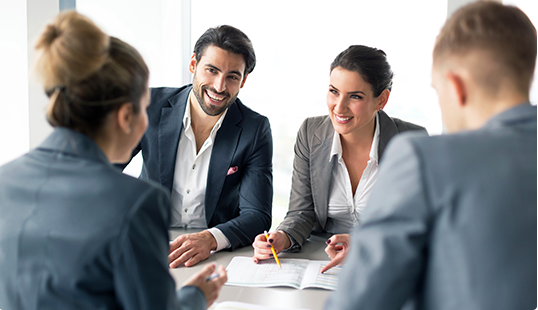 After the meeting, you will gain a better understanding of how using the right technology support process can dramatically improve your business’ bottom line. Businesses exist to provide certain services or products to their customers. The clients of any specific business are going to have some similar needs, so logically business models are organized around meeting those common needs in an almost assembly-line fashion. For the most part this approach works fairly well, but it can sometimes leave customers feeling ill-served by a one-size-fits-all, cookie-cutter approach. We’ve taken a different path—one that focuses on enhancing the great qualities that make our clients special. And we do all of this though The SynchroNet Way. See, as an IT managed services provider, we explain that we “help small and midsized businesses save money and improve overall effectiveness through outsourced IT management, maintenance, support and best-practice processes.” But what that really means is that we help our customers do the things they do better. The fact is, we couldn’t enable business improvement as we do unless we took the time to understand our clients’ businesses, where their challenges lie and what their goals are. 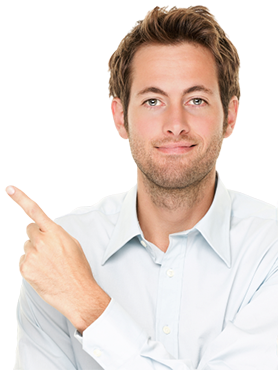 Then we go about developing a unique plan for IT optimization and utilization that will work best for each individual SynchroNet customer. 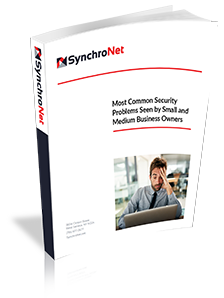 This is the SynchroNet Way—it’s the right way to manage your business’ IT services. We know about hackers and cybercrime. We know that lack of maintenance and monitoring of systems can hurt operational efficiency. We know the importance of establishing security protocols and best practices for IT networks. At SynchroNet, we understand all of these things. However, we also understand running your business's day-to-day to-do's may push the importance of cyber security to the back-burner. Unfortunately, it sometimes takes an actual event to refocus your attention on these real dangers. Let us show you it is much less painful to prevent an attack than deal with the repercussions. In our latest white paper, we’ll analyze cyber threats illustrated as the “monsters under the desk”, the risks that they pose, and solutions for mitigating or preventing damage from malefactors or malfeasance. We have categorized the monsters in two sorts: those that are the result of ill intentions; and those seem to arise of their own accord. We want you to be prepared.